Next > Sales Sales Sales! 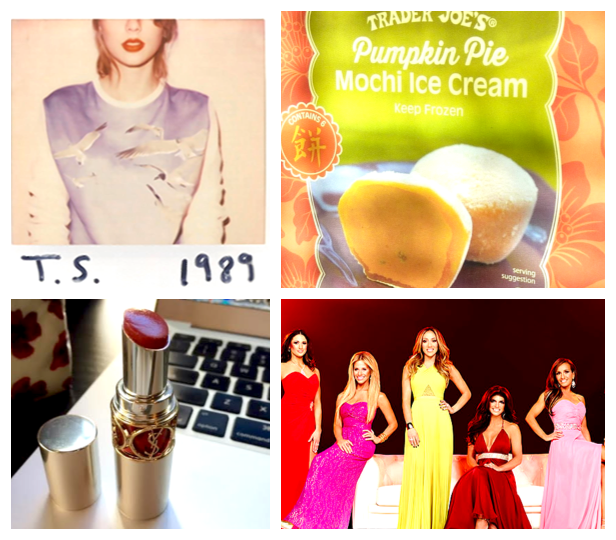 I love 1989!! My favorites are pretty much yours too! I think every song on there is better than anything from Red (except I knew you were trouble). As for RHONK, I just don’t get Jim – he is absolutely crazy and disgusting the way he talks to women. Btw I just went to trader joes and didn’t think to pick this up! I’ll definitely get some for your visit! We should totally do girls night + chick flicks + pumpkin mochi! Love you so much and can’t wait to see you in one month! !